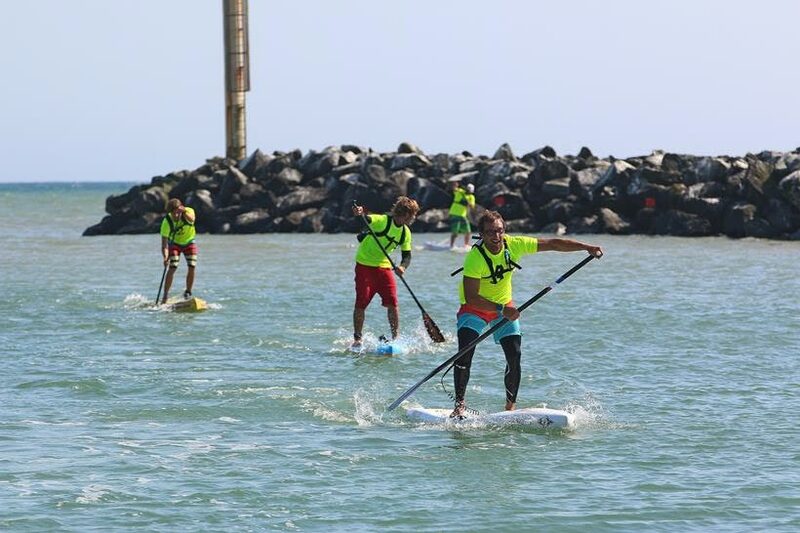 Zane Schweitzer (Starboard) puts on another stellar performance today to secure another win here at Stop 2 of the European Cup presented by Starboard: the Oleron Island Paddle Challenge. With a 3rd place in the Long distance race yesterday, Zane stepped up on Day 2 of the event to secure a win in the sprint racing, duplicating his results from Bilbao and notching up another well deserved victory. What is interesting to note here is that in Bilbao, it was in the Long Distance that Zane was able to win, finishing in 3rd in the sprint racing, whereas here in Oleron, it was the other way around, even with the Open Ocean Conditions. What it does show is that Zane has been training hard and that has proved himself not only to be one of the best of the best, but a phenomenal all rounder. Zane is now leading the European Cup ratings and will benefit from a real boost in confidence as the World Series will pick back up in Fehmarn, Germany next month. Beau O’Brian (Starboard) from Australia continues to show flashes of brilliance, as he did in Abu Dhabi at Stop 2 of the 2014 Stand Up World Series. Here at Stop number 2 of the European Cup in Oleron was no different, as he put on an impressive performance in the Sprint Racing division to finish in 2nd place behind fellow team mate Zane Schweitzer (Starboard). This combined with his 5th place finish in the Long distance, puts Beau in 4th place overall. 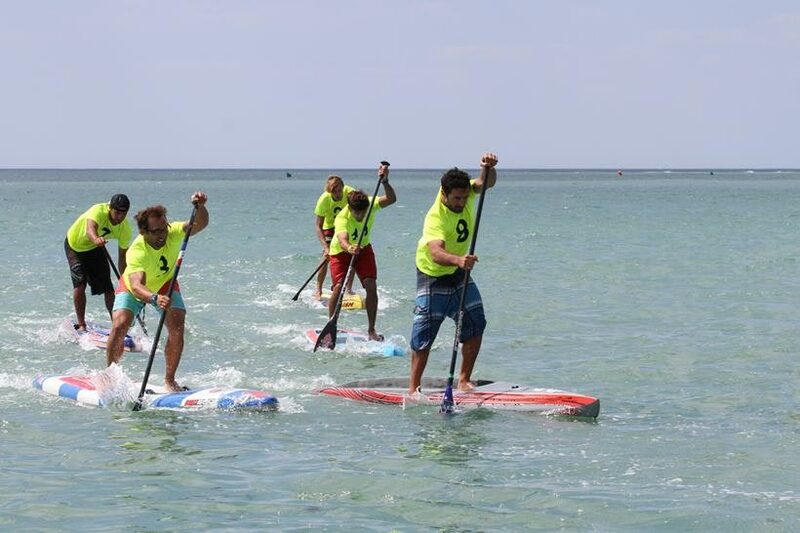 In 3rd place in the sprint racing today was the powerful Frenchman, Eric Terrien (Bic SUP), standing strong at home in France and showing once again he is one of Europe’s leading paddlers. This 3rd place, combined with a 2nd place in the long distance puts Eric in 3rd place overall for the event, another strong result for the competitive Frenchman who makes his base in the Canary Islands. WIth this 3rd place finish in Oleron, Stop number 2 of the European Cup, Eric now lies in 4th place overall in the Cup Title Race, with 3 more events still to come (Finland, Germany and Italy) and will certainly be one of the prime contenders for the Cup Title. Keep it right here at www.watermanleague.com to see how it all unfolds. 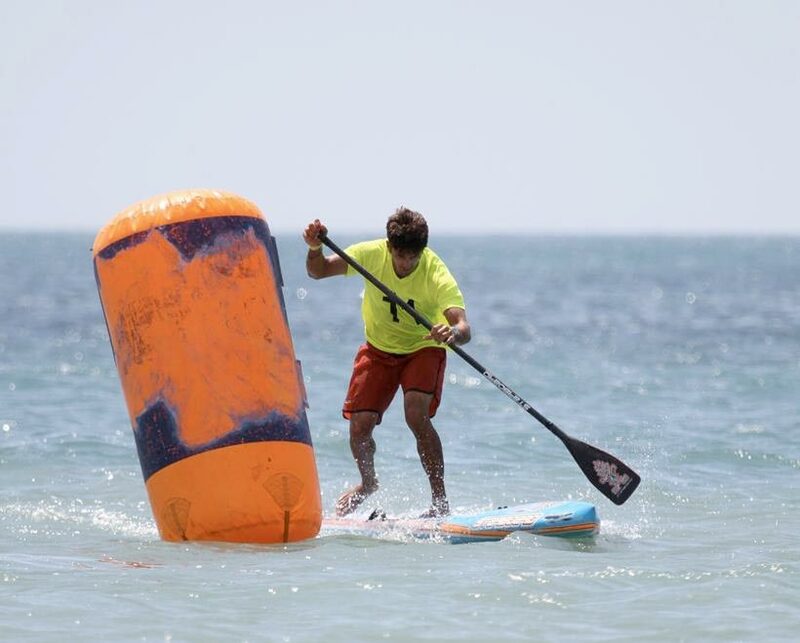 Titouan Puyo (Starboard) is a new face on the Stand Up World Series, but has shown himself to be dangerous in both flat water and open ocean, with strong finishes in Bilbao, but also once again here in Oleron. With a win in the long distance open ocean course, clearly reveling in the open ocean conditions, Titouan backed it up with a 4th place finish in the sprints, giving him a very worthy 2nd place overall for the event behind Zane Schweitzer. Titouan is definitely a name to watch out for both on the European Cup, as he now lies in an impressive 2nd place in the current European Cup rankings, but also as we look ahead to the next stops on the Stand UP World Series, namely Fehmarn Germany and then the US Trilogy as we progress through July, August and September, as Titouan will be looking to assert his presence on Tour. 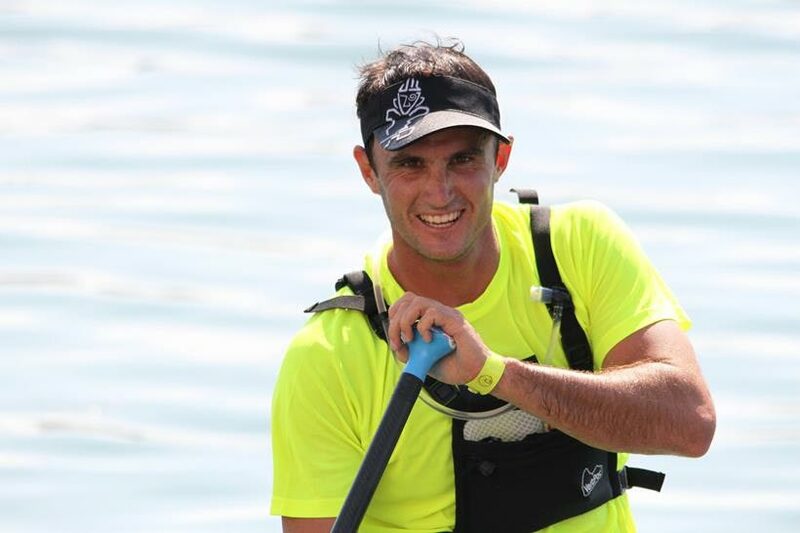 Finishing in 5th place today in the Sprint Racing component of the Oleron Island Paddle Challenge was the Italian Stallion, Leonard Nika (Starboard). This was a strong comeback for Leonard who was disappointed with his 9th place in the long distance and was able to get some resolution in the sprint racing with this 5th place finish, propelling him to 6th place overall for the event. Again, Leonard is another key contender for both the Cup and the European Titles, so make sure to stay tuned as the European Cup will now head north in early July for the next stop in Finland, then Germany, and ending at home for Leonard at Santa Severa Beach, just outside Rome, Italy. 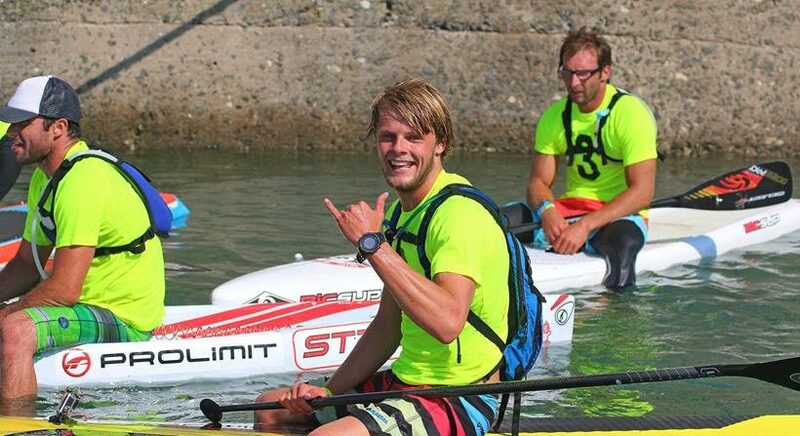 Casper Steinfath (Naish) made it to the Finals of the Sprint Racing in Oleron, but had a disappointing finish for him, taking 6th place in the sprints, which combined with his 4th place in the long distance puts him in 5th overall for the event. While this wasn’t necessarily the result he was looking for today, this 5th place keeps him in 3rd place overall in the European Cup standings, so within striking distance of the Title. Casper continues to show himself as one of Europe’s brightest talents on the global stage, continually placing in the Top 5 amongst the very best athletes in the world. Watch out for more from Casper as we progress through this summer’s European Cup, but also beyond through the remainder of the World Series Season. 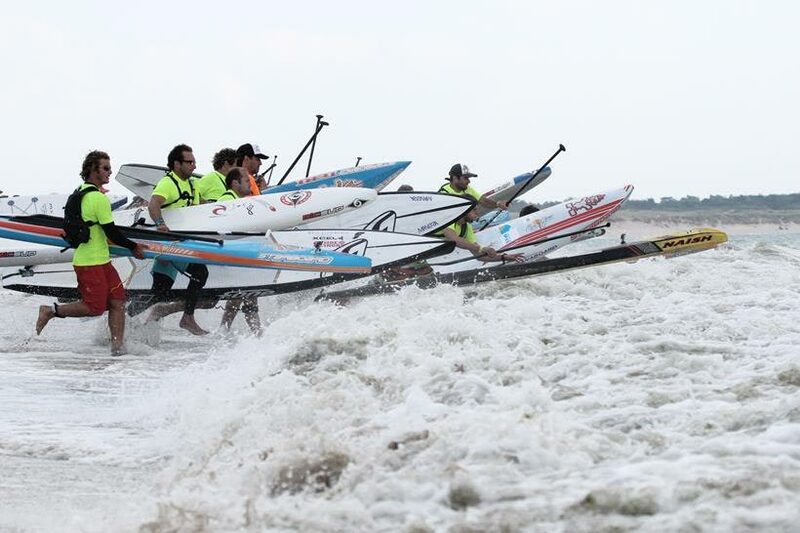 Oleron Island has once again provided scope for spectacular racing here at Stop 2 of the European Cup, presented by Starboard, but also a completely unique experience for the attending athletes. This year’s event confirmed the potential of the location for spectacular downwind runs, but also the perfect beach set up for the World Series Sprints. 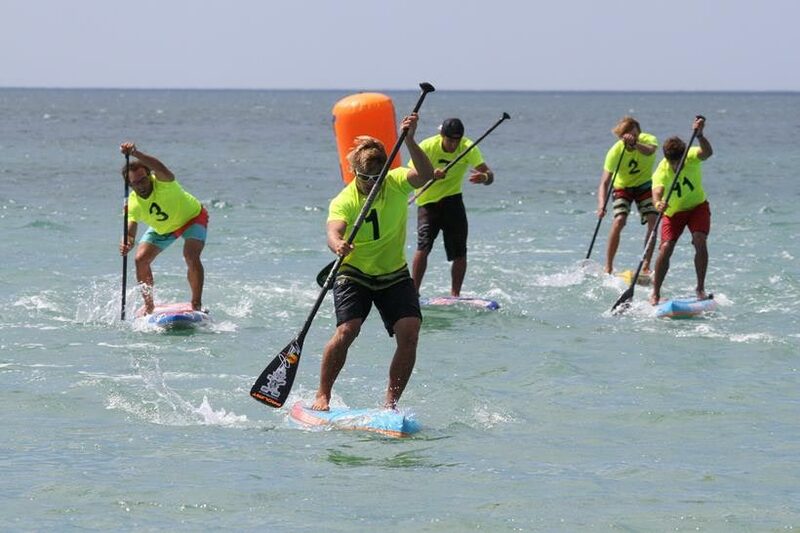 Next up: the Sieravuori SUP Masters in Finland running fronm the 3rd – 5th July: join us there for the next exciting installment of the European Cup, presented by Starboard. Previous articleWhat sets the Konihi apart from other paddles?… Winglets!